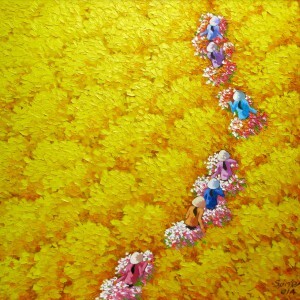 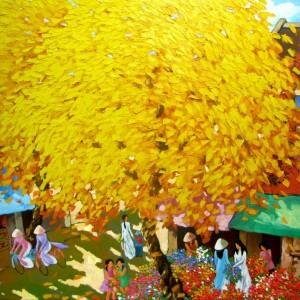 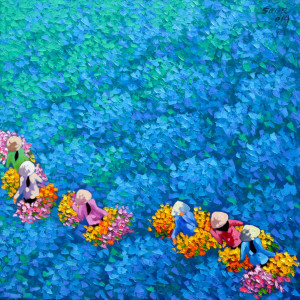 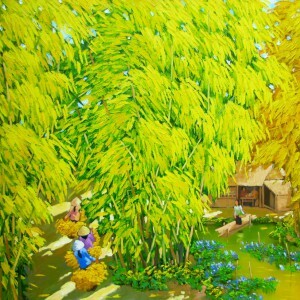 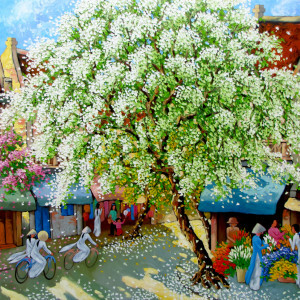 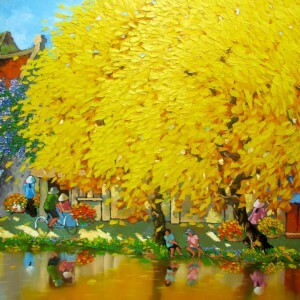 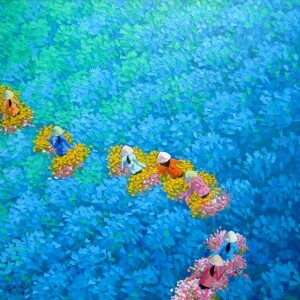 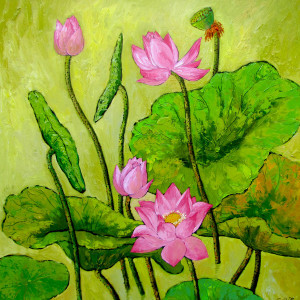 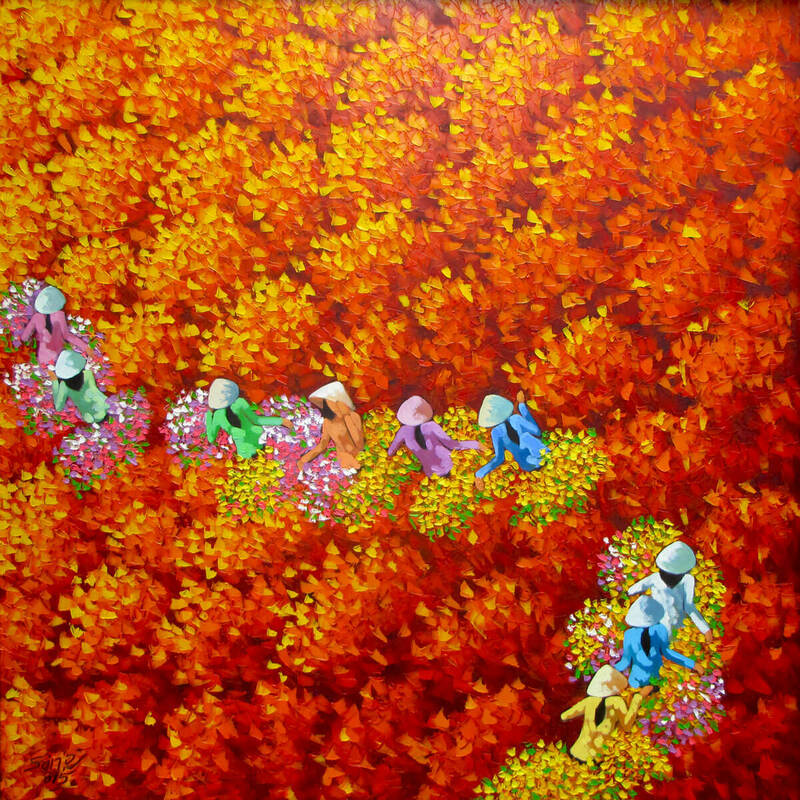 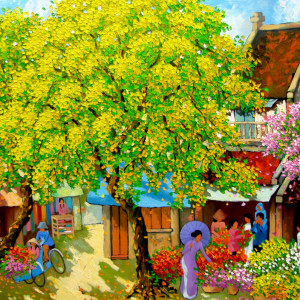 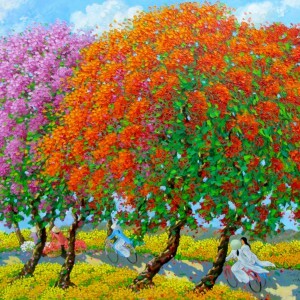 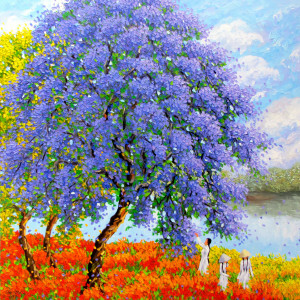 The paintings of Duong Ngoc Son defined by their eye-catching vividness of colors, is a good example of contemporary Asian art. 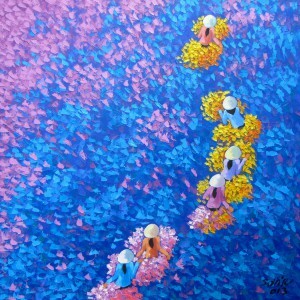 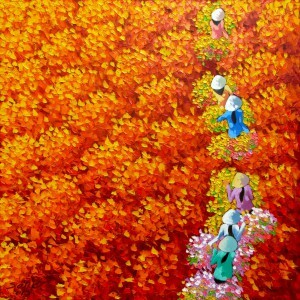 The intensity of tints, thick brushstrokes in this featured piece bring to life the serpent-like movement of a file of women as they cross the scarlet-colored sea of flowers. 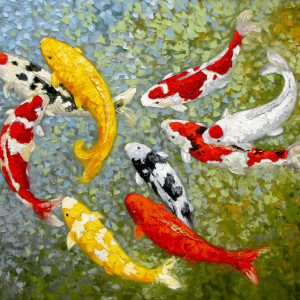 This is an aesthetically appealing piece.